Free Download Rush for Gold: Alaska Game or Get Full Unlimited Game Version! 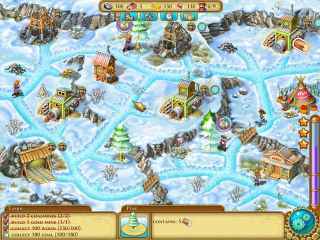 Help the old mayor and his rag-tag group of gold prospectors by building, fighting and trading. In order to get advantaged of playing Rush for Gold: Alaska full unlimiteg game version you must register the game. Who says the time of the great gold prospectors has passed?! You have an opportunity to be one yourself! Explore locations for gold and other useful resources, protect your workers from wild animals and robbers and build the town of your dreams in Rush for Gold: Alaska! 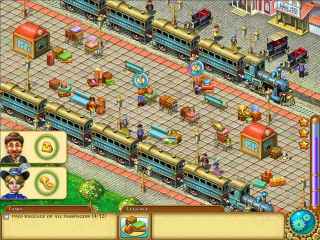 Don your grandfather's cowboy gear and hunt for hidden objects in the Wild Wild West. Cubis Gold 2, the sequel to the Puzzle hit of 2002, is here and masterfully delivers the next dimension of its classic 3D-esque matching game! With its stunning graphics, intense sound effects and thrilling game play, Swarm Gold delivers fast-paced sci-fi destruction that takes no prisoners! Construct a neighborhood with plenty of houses in order to earn loads of money. Work your way to the top of Townopolis!